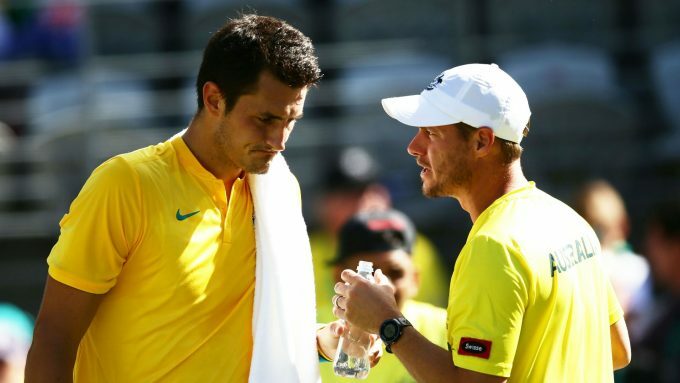 Bernard Tomic has called Australia Davis Cup captain Lleyton Hewitt a “liar” for saying he had been threatened “physically” and “blackmailed” by him. Hewitt, 37, said he and “close-knit family” had received threats directly from the world number 88 over the past “year and a half”. The two-time Grand Slam champion said did not take them seriously. Speaking to News Corp Australia, Tomic added: “Nice, Lleyton. To think how low of a person you actually [are] and [it’s] why the Australian public never liked you. 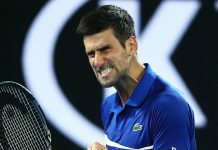 Former world number one Hewitt was responding to comments made by Tomic after the 26-year-old’s Australian Open first-round loss in Melbourne on Monday. Tomic claimed there was a “conflict of interests” in Hewitt’s Davis Cup team selections and demanded he was removed from the role. Tomic has not played for his country in the competition since 2016. 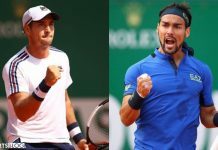 Tomic claimed some players were picked for the Davis Cup team – and given Australian Open wildcards – because they were represented by a management company owned by Hewitt. “This is what we’ve come to expect from Bernie,” Hewitt said after playing in the men’s doubles on Thursday. Hewitt started mentoring Tomic after retiring as a singles player, but says he has “not had anything to do” with Tomic for a couple of years. “For me the biggest frustration is I feel like I went out of my way to help Bernie,” Hewitt, who won the 2001 US Open and 2002 Wimbledon titles, said. “Especially when I first came into the role, I spent a lot of time with him one and one, and at a lot of tournaments, tried to get a coaching structure and physical team around him to give him the best opportunity. “He still kept making the wrong mistakes. “After the abuse, I copped from him, I drew a line in the sand and haven’t spoken to him since. Tomic split with Hewitt’s long-term agent David Drysdale in 2017. Next articleWATCH: Mikkel Hansen scores 14 against Norway!